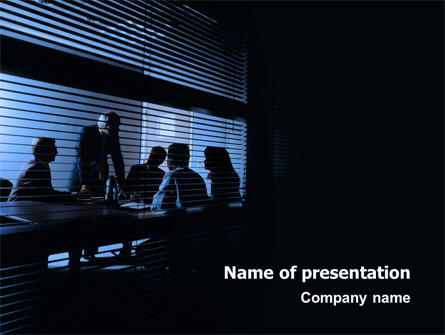 When you prepare a presentation, you might want to show how much you know about a subject. But does the audience care how much you know? Listeners more likely want to understand the main point of your presentation.So, how do you organize your talk to get that point across? Professor LeBeausays this can depend on the culture of your audience. American language expert Robert Kaplan studied different cultural thoughtpatterns in the mid 1960s. He helped English language teachers understand the differences between English rhetoric and that of Arabic, Chinese, Japanese, Spanish, and Russian. English speakers prefer a ‘linear’ style, which has one main idea. The speaker supports that idea with details or arguments, and then closes the talk by restating the idea. In other cultures, however, speakers may bring in other ideas before returning to the main point. Charles LeBeau says some of his students prepare a speech without thinking of the main idea. For presentations in English, the best time to make that point is at the beginning. Speakers should make a plan to present their ideas in the order that is common in English rhetoric. When we write our ideas down without such a plan, they are not clear and our presentation will not be well organized. Professor LeBeau says he often sees the engineers he works with give a lot of technical information in their speeches. They want to tell everything they know. But, the audience may have trouble understanding which information isrelated to the speaker’s main point. We can tell the story with facts and numbers, if they help, and then repeat the point. Preparing the story message helps speakers give a successful presentation.Professor LeBeau gives these five tips for academic presentations, such asthose given at professional conferences. 1. Understand the difference between a title and a topic. A topic is general, but a title is more specific. Make sure the title explains the benefit of your subject. 2. Provide an image for those who are not experts in your subject. Explain how your research relates to other fields. 3. Work on transitions (linking words or phrases) as you go from image toimage. These should make the connections between your ideas clear.Professor LeBeau says transitions serve as bridges to each new image. 4. Look at each image from the audience’s point of view. What questions might they have about each image? Prepare an extra image that would help explain the most difficult question you expect. 5. Rehearse your presentation with a timing device. At most conferences,there is a time limit. It is disrespectful to take more than your share of the time.Cut your presentation to fit the time you are permitted. Professor LeBeau understands the difficulty many students of public speakingface. Using these tips for improving your presentations in English should help make the process easier.